nakedmolerat: Wait... Will they lose phone connection during power outage? If they haven't requested a UPS from their RSP as part of the UFB install, yes. But considering anecdotal evidence from the Chch earthquake seemed to suggest somewhere in the vicinity of 2/3rds of all homes only had a cordless phone and no corded phone it's a problem not new to the fibre world. 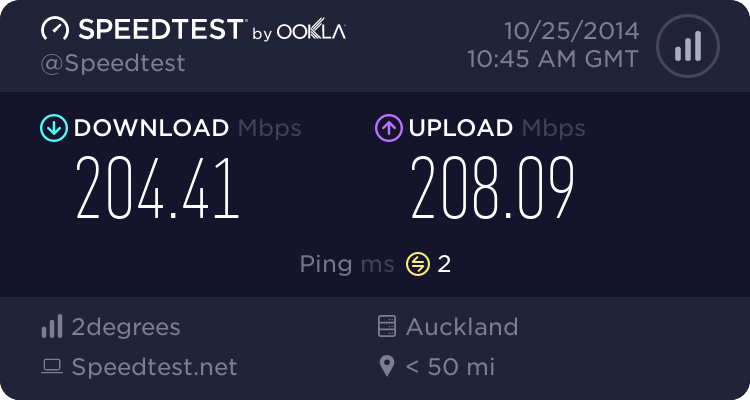 I haven't posted the release but yesterday Consumer NZ sent out a notice that they worked with Slingshot to give a $20 discount/month for these connections for a limited time (can't remember if a couple of years or so). tripper1000: With a bit of tech knowledge, there is the opportunity to save money here - you only need a single fiber connection to supply VOIP to all of those flats. Distribute it via wireless into a bunch of VOIP phones with the look and feel of POTS and voilà, $25/mth phone bills instead of $45/$65/$85. I guess fiber is how you will receive TV in the future, but it is almost unbelievable that they haven't installed copper, irrespective of the rather obvious preferences of their intended tenants. Thanks for the link below. Went into a vodafone shop, requesting this service and they looked at me like I had two heads or something. The staff had never heard of such a service so I assumed I was showing my age and it had been discontinued. It's not unbelievable that they haven't installed copper - there are now large numbers of new buildings around the country that now have no copper. The issue here is purely one of commercial offerings - that no RSPs offer a voice only service over UFB, and there is no legal requirement to do so for new builds. I know Spark will once their VoIP offering launches in the not too distant future. What about the chorus hybrid fibre/copper offering that is available? there is not going to be a big difference in cost to bring in a different cable right? The big problem with copper (at least in a new development) is that there is unlikely to be enough spare pairs in the existing street cables. Which means a very expensive job to run new copper to the nearest exchange. And if the exchange is over 1 or 2K away. then ADSL will be poor or not work at all. So then a cabinet will need to be installed. Which will also cost big money. And the cabinet will need fibre. So no cost savings. The problem is when apartment buildings get built in old areas that already have UFB. There are lots of spare pairs in the existing cables due to everyone getting UFB. So the cheapo developer just runs copper in the building. And Chorus happily approve all the new copper connections as they have plenty of spare copper network capacity in that area. coffeebaron: Surely this is something the whole UFB process should have ensured a regulated Phone Only service over fibre? I know when Chorus first did BoF subdivisions, there was a (almost) phone only service. It was a 128k service meant for phone only, but you could use the broadband too. It was priced much the same as a POTs line. I understand there is a 128kbps fibre service designed for POTS only, but only supposed to be available in areas without copper. You may or may not have read this in other threads today, but Spark launched a phone only service over UFB fibre today. Price is $50/month nationwide (where UFB is available of course). It's via the ONT so no RGW/router required - you can plug a standard phone into the back of the ONT. It includes some additional services free of charge (caller ID, Callback (a.k.a *69 like in the movies), auto divert when unreachable (handy in a power cut) plus a few others. There are a host of other optional features (voicemail etc) available as a package for less than $10/month.